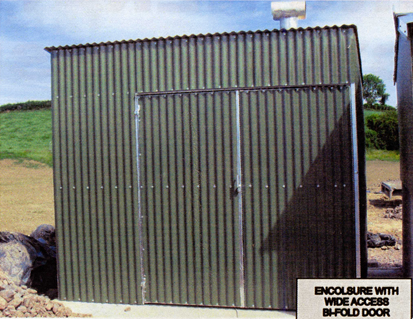 Eco-Systems on-farm incinerators are the cleanest, most bio-secure method of disposal and the good news is, it is also the cheapest as the equipment can be run for a third or less of the cost of on-farm collection schemes! With greatly reduced fuel consumption and stack emissions (no visible smoke from the flue), due to a highly effective after-burner, it is also the most environmentally friendly too. Because of the unique design, the waste is places on the grate and all the heat generated by the burner, which is below the grate, is passed around and through the load and therefore no heat is wasted.The temperature is maintained to the regulation 850c which prevents overheating and saves fuel. 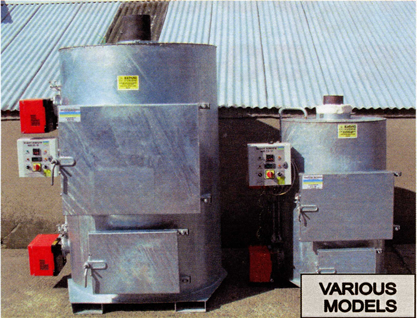 To protect the environment from contamination, and to help prevent the spread of disease, all fluids are contained within the incinerator by a bunded pump, these are then burnt-off or evaporated when the machine is fired. Eco-Systems incinerators ensure a total burnout of the load first time, every time, wth all incinerators equiped with the moset effective afterburner of any incinerator of its type currently on the market. Such is their efficiency the only visible sign that the machine is working is a heat haze from the flue pipe!